Now that you have the right wardrobe, you want make sure that you have the right makeup. Here are some easy to follow makeup guidelines that can either break or make the look. *Remember that you want “natural-looking” makeup, but that doesn’t necessarily mean light makeup. Make sure that the foundation you’re using is the closest color match to your face, neck and chest area. Liquid foundation is best. If you can use an oil-free matte formula, it looks the best in photographs. Avoid “sheer” aka BB cream or light coverage formulas and powder/compact foundations, which all don’t give the right amount of coverage. Use a blush color that is one shade darker than the color you normally wear and make sure that there is no distinct line of where the blush ends. 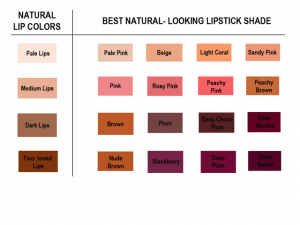 Using the chart, the color of the lips should be one shade darker than the best look in person. The lips should be shifted in the direction of darker red. Also, lip gloss is often effective in making the lips fuller. If you still don’t have the perfect wardrobe for your portfolio picture, check out our post here. Lucy Fang started her career in the world of modeling in high school with commercial, print and runway work in Florida. After graduating with a B.A. in communications, she discovered the excitement of promotional modeling and worked with a variety of international brands. Her years of modeling give her a unique perspective of the hair and make up needs for headshot and profile photos. Shooting photos with a Professional or DIY? You need to make sure you have the right wardrobe! Clients ask two critical questions prior to selecting a brand ambassador: Do they have the skills for the job and are they suitable for the company which really means do they represent the brand? Making sure your profile photos are perfect is critical to getting booked for these brand ambassador opportunities. *Remember the wardrobe is a costume. The clothing is meant to make the character i.e. “attractive, real person” convincing. When selecting wardrobe for profile photos, think words like professional and polished. Let’s face it – if someone looks at your photos and comments on the outfit – you have failed. 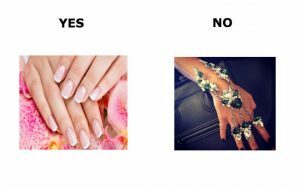 Your profile photos are designed to sell you – not the clothing or the jewelry, and definitely not the makeup or photographer’s creativity. 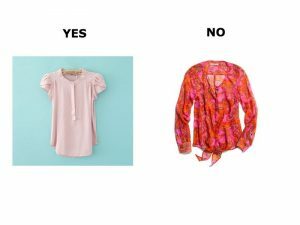 Here are a few Do’s and Don’ts to keep in mind when selecting wardrobe for photos. Don’t– Pick floral prints or patterns. They can be too distracting. Do– Make sure the clothing fits properly. Don’t– Wear clothing that’s so tight that it looks like you might be going out for night on the town. Do – Have a good mix of colors and styles. Don’t– Have photos of you wearing only one color. Give your agency some selection on what might help sell you better. Don’t– Have attention-getting jewelry! Less is more. Lucy Fang started her career in the world of modeling in high school with commercial, print and runway work in Florida. After graduating with a B.A. in communications, she discovered the excitement of promotional modeling and worked with a variety of international brands. With a solid 5 years of promotional selling, she went to work behind the scenes as a booking agent. It was there where she learned the secrets of why models did or didn’t get booked and what agents were really looking for. Moving to Chicago, she continued to model but also focused on using her degree and her experience with social media to help build her clients’ presence on the web. In order to submit your profile for independently contracted promotional opportunities, you must have an online résumé entered into our system. Our system is searchable by our office team so we can match talent with specific skills or experience to our clients’ events. Although we do not allow you to upload your current résumé into your profile, you can copy and paste its content into our system. Log in to your A-Live Agenda at https://www.adelantelive.com. Click the EXPERIENCE tab at the top and you will see the options listed below. Please note that the icons for each section are also at the top menu of the EXPERIENCE page so you can easily toggle through this section to enter your information. This is where you list your education (high school through advanced degrees). List special skills and professional certifications such as licenses or skills like CPR. List foreign languages spoken (conversational through advanced). Post your promotional marketing experience in: Tradeshows, Liquor/Beer, Outdoor, In-Store, Street Team, Mobile, Promo Management, Costume Character, Hair/Makeup, etc. Enter professional experience (not promotion or event related) in retail stores, bars, restaurants, customer service, day care, camps, coaching/referee, beauty, etc. Do you have any experience as an entertainer? This is where you list professional experience as an actor/actress, comedian, dancer, DJ, face painter, juggler, balloon artist, magician, singer, etc. Have you ever modeled professionally? This is where you list professional modeling experience as a bikini model, car show model, fit model, hair show model, lingerie model, print model, runway model, etc. We get client requests for talent with dance or sports backgrounds. Please list your dance style experience and sports played (beginner through professional) here. List instruments played (beginner through advanced levels). In this section, enter certain equipment that you may own and need to provide for a demonstration or promotion. If you already have a résumé, you can copy/paste some of the information into our format or just use your current résumé as a reference point while you enter your top experience into your online profile. Add more descriptive information under the Duties/Comments section of each section (Education, Skills, etc.) and be specific about what activities you performed on site. Double check your grammar and spelling in all fields. Make sure you spell the Brand Names correctly. Do NOT enter the name of the agency you worked for. Our clients are interested in the brand, event and the nature of the event – not who hired you. If you have a lot of promotional experience, don’t post every promotion. Give a nice overview by entering at least five (5) promotions under each promo type. If you don’t have much promotional experience, please focus on thoroughly completing your Non-Promotional Work Experience section. We can see what type of skill set you do have and match you up with promotions that are a good fit. Managed street team promotions for several Florida markets. Responsible for training and supervising staff and all event recap reports. As a product representative, I was responsible for scheduling and executing on-premise promotions and venue staff training. Assistant tour manager for nationwide tour. Responsible for driving vehicle and vehicle maintenance, managing brand ambassadors, event recaps and working with retail locations to set up events. Janice Rodriguez is the President and Agency Director of Adelante Live Inc. and is looking forward to seeing updated talent profiles! Please follow her on Twitter @jvrodrig1029 or on Google+. You can view her full bio here. 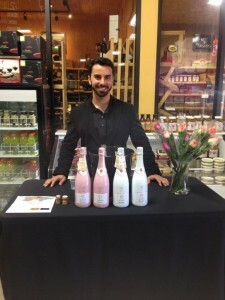 Off premise promotions are wine, spirit or beer promotions that happen at retail locations such as grocery stores, liquor stores or big box retailers. The term off premise literally means that the product purchased will be consumed off of the premises such as at home. According to recent numbers, 53% of total U.S beverage alcohol dollar sales take place in the off premise environment meaning 47% happen on premise (bars, nightclubs, restaurants etc.). As brands continue to try to increase market share and grab consumers’ attention at the point of sale, in store promotions and samplings have increased. As a promotional talent, you will be responsible for being the “face of the brand” and educate consumers on the benefits of the brand you are representing. In order to be a successful off premise brand ambassador, you must have the following 6 items. The sampling table cannot be too big because of the size of the store and where you may be placed. The ideal size is rectangular (not square) and 48″ wide x 28″ high x 20″ deep . I highly recommend the Cosco brand version that can be found at Walmart or online at multiple stores. It’s lightweight, fits in the back seat of your car and easy to assemble. This table looks 1000% times better with a black table cloth. A black table cloth makes any table look better and hides spills. Find a black table cloth for the table above here. If you are required to put bottles on ice or need to provide clean ice for a cocktail or liquor sample, you’ll need a non-branded (plain/no logos) ice bucket for your table unless one is being provided for you. If you are sampling a cocktail or liquor that can be poured on the rocks, make sure you also have a pair of tongs so no hands are touching the ice. Check out a few options that are under $25 here. Promotional talent are expected to provide their own sample cups. Cups shouldn’t be any larger than 3 oz and most samples you pour should be closer to 1 oz. However you may need the larger cup for a sparkling wine, beer or cocktail with ice. If you aren’t provided with branded cups these are nice cups to consider. Stick with clear plastic, no paper and no colors. When you are a promoting a brand in a retail environment, you are always a guest in their store. So it’s important that you bring everything you need including your own wine and beer bottle opener as to not be too demanding of the store staff. This is a great 2 in 1 opener that should be part of your off premise promo kit. Where the company is from country, when it was founded etc. Please follow your agency’s directions carefully. There may be specific check in processes, photo instructions or recap instructions. Contact your agency if you have any questions before you arrive at the location. Please note when executing on behalf of one of Adelante Live’s clients, you may have submit your recap online, on paper or a combination of both. Also if you have any issues or questions on site, it is best to contact your agency as well as quickly as possible. Remember, in the off premise environment your number one goal is to SELL!! Make sure you are up to date on the specials or sales the stores may be running on your brand. Also it’s an absolute must to have product handy so you can give one to the consumer right after they sample. Follow these steps and have these items on hand and you will be on your way to being a successful (and busy) off premise brand ambassador! Janice Rodriguez is the President and Agency Director of Adelante Live Inc. and is excited to book awesome talent on our upcoming off premise demos! Please follow her on Twitter @jvrodrig1029 or on Google+. You can view her full bio here. The hot weather is here…(in Florida it’s been hot since February) and that means tons of outdoor promos and events. Follow these tips to keep your energy up and a smile on your face! Take it easy the night before a summer outdoor promotion. It’s not the time to stay out late and have one too many the night before your event. Hangovers and direct sunlight do not mix! Get a good night’s sleep so you can wake up early and refreshed to get to your event on time and ready to promote. Bring a refillable water bottle and take small drinks often throughout the day. Of course ask your team lead if you can refill the water (don’t just leave footprint) if water isn’t provided for you. Avoid caffeine and alcohol (you know you can’t drink when working an event – right?!). For all promoters working at festivals- avoid the deep fried Oreos! It will only weigh you down. Heavy, fried foods and too much sugar do not go well when working in the sun or in high temperatures. Eat a light, healthy breakfast and bring high energy snacks with you for your breaks such as fresh fruit or a granola bar. For lunch, try your best to find something light and eat smaller portions. And in case you were wondering, philly cheesteak and chili fries are not light and healthy! 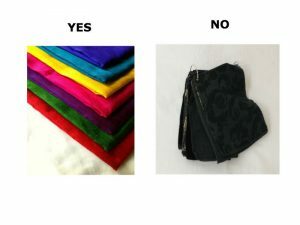 Follow uniform guidelines but have summer weight fabric options. Wear cotton and other breathable fabrics instead of synthetics. It will make a huge difference. If the client allows you to wear shorts- don’t take advantage. Ladies: NO short shorts- wear knee length shorts only. Remember you are working so your shorts need to be consumer appropriate. Follow uniform guidelines but ask if hats and/or sunglasses are allowed. Make sure any cap/hat you have is non branded – think plain black baseball cap – not a huge sun visor or beach hat. A non branded cap is more likely to be allowed if it’s not provided for you. According to the American Academy of Dermatology, you should follow the rules below when applying sunscreen. Choose sunscreen that has an SPF of 30 or higher, is water resistant, and provides broad-spectrum coverage. Apply sunscreen generously before going outdoors. It takes approximately 15 minutes for your skin to absorb the sunscreen and protect you. So make sure you apply your first layer of sunscreen BEFORE you arrive to the event and remember to bring it with you so you can reapply throughout the day. Even if you are working under a tent, you still have to walk to and from your transportation or you may have to work out in the crowd. Be prepared for any scenario! Well you know how the rest goes. The heat isn’t for everyone. If you know you are heat averse or can’t work in the sun for whatever reason, don’t sign up to be a promoter at an outdoor event. You should know by now that events and promos are on rain or shine so you have to be flexible and be willing to work in any capacity at an outdoor event. Read the event description carefully and ask questions before confirming your availability to work. Janice Rodriguez is the President and Agency Director of Adelante Live and really loves the shade. Please follow her on Twitter @jvrodrig1029 or on Google+. You can view her full bio here. Summer officially starts on June 21st…so you still have a few days to get your ‘spring cleaning’ done. Take a moment now to ‘clean’ up your talent profile with your event staffing agencies so you can maximize your chance of being booked this summer. Have you changed your phone number, address or any other pertinent information? Did you get married, divorced or change your name? Especially if you moved- agencies need to know what metro areas you can work in! Take a moment to update your contact info and payment related information. Now is the time to get the right photos on your profile. But at the minimum, make sure your photos LOOK like you. Did you cut your hair, change the color or changed your appearance in any way? Be honest- have you gained a few pounds and your photo is from 2007? We need to know what you look like TODAY. In the ALI Agenda system, you have the ability to update your experience under event types such as demos or tradeshows. Although we don’t expect you to list every promo you’ve done in the past 5 years, you should make sure you have at least a few in each category. CLIENTS CAN ONLY SEE WHAT IS LISTED IN THIS SECTION. Meaning, we do not forward any other type of info such as resume or cover letter. So if you just finished managing a major cross country tour- take the time now to add it to your profile. 4) Gained a New Skill – Let Us Know! Maybe you just finished a gig where you emceed or haven’t updated your profile since we’ve added new skill categories. We need to know what sports you can play, instruments you can play, languages you can speak and any other certifications or licenses you may have. This helps us match you with our clients’ promotions and events. If you don’t have it listed, you won’t be contacted and can lose out on a cool event! Take these steps ASAP to clean and update your profile today and increase your chances of getting booked this summer. Janice Rodriguez is the President and Agency Director of Adelante Live. Please follow her on Twitter @jvrodrig1029 or on Google+. You can view her full bio here. It may also be time for her to update her photo too (it’s been a while!). There seems to be no end in sight for this long winter. In order to get through this cold and flu season and still maintain your health, you must take care of yourself. As a brand ambassador who is dealing with the public at every promotion, you’re in a prime position to get sick or to get someone else sick. Here are some common sense tips on how to stay healthy so you can keep working as a promotional talent this winter. One of the most important and easiest things you can do to stay healthy this cold and flu season is to wash your hands often. Most doctors recommend that you wash your hands with soap and water for at least 20 seconds- which is as long as singing “Happy Birthday’ twice. If you are working a promotion or event, taking frequent bathroom breaks is probably not going to be an option. So the second best thing is to use hand sanitizer often. There are plenty of travel size and hand sanitizer spray that can easily fit in your pocket. Use these (discreetly) in between consumers especially if you are shaking hands and/or handing out samples. Remember whenever you are sampling food (and some beverages), you should always have on gloves on so please change those often as well. It’s easy when it’s cold outside to overindulge on those creamy soups and other comfort foods that make us feel warm and toasty. Please keep in mind that those comfort foods are often very high in calories and carbohydrates. Make sure you’re eating right and get your full serving daily of vegetables and fruits. These vitamin rich foods will also support your immune system. In addition to overeating, this time of year it’s easy to pack on extra pounds by general inactivity. The key is to keep up with your normal exercise routine or make adjustments if you can’t workout or take walks outside. No matter how cold it is outside, there are plenty of exercises you can do inside your home. Check out these great at-home workout for women and men. Avoid coughing or sneezing directly in your hands. Please remember you’ll be shaking hands with people, touching products and premiums and also potentially samples of food or drinks. When you feel a sneeze coming on, turn away from people and sneeze in your elbow. Also make sure you have tissues readily available and use that hand sanitizer! Feel the Sniffles Coming On? Rest! 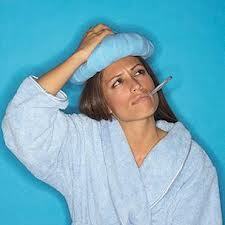 Don’t you love it when someone tells you they’re feeling sick, then you see photos on Facebook of them partying? If you start to feel that little tickle in your throat – listen to your body. Go to bed. Don’t drink alcohol. Stay warm and inside (if you can). Consider vitamin C or zinc to stave off or lessen the duration of a cold. Already Sick or Just Got Over a Cold? CLEAN! If you are sick or have just recovered, make sure you clean the hard surfaces of your house and don’t forget to clean your keyboard and cell phone . Those are items that you constantly touch and often forget to clean. Use an antibacterial all purpose cleaner to wipe down remotes, knobs, doors and other handles around your house and car. This helps you from spreading it to other family members and from making yourself sick again! Here are additional tips on what to clean during/after an illness. We know its cold outside but do us and yourself a favor and take care. There are already fewer promos in the winter season (particularly in the colder climates) than in the summer so it’s harder for promotional talent to get booked this time of year. Therefore it’s really important to stay health so you can jump on those opportunities. Also use over the counter medicines to combat your symptoms and be very careful before calling out because you are ‘sick’. We don’t want you to get others sick by any means, but there is a huge difference between needing a cough drop and having the flu. Happy promoting and stay healthy! Janice Rodriguez is the President and Agency Director of Adelante Live. Please follow her on Twitter @jvrodrig1029, Facebook or Google+. You can view her full bio here. She just got over a cold that knocked her out for a week- so she knows what she’s talking about (although a little too late). Follow these tips before you submit your photo for an upcoming promo event. Although most clients and agencies in the industry seem to prefer talent with professional photos, we are receiving more and more requests to also see natural looking snapshots of talent. Going the do-it-yourself route? Please follow these guidelines when taking photos for your promotional profile. Go outside! Photos that are taken indoors without a professional flash usually don’t look good. Head outside to use the natural light. The colors of your photo will look richer. Also photos that are too bright can be adjusted more easily than making a dark photo lighter. Clients want to see a clear photo of just you. They don’t want to see a thin cropped photo with a random arm or a part of someone’s face in the photo. And they (and your agencies) definitely don’t want to see a group photo and then try to figure out who you are. But please- no ‘selfies’ while you are staring at yourself in the mirror or your holding the camera out in front of your face. Use those photos for Facebook (if you must)- not to submit for promotional opportunities. Ask a friend or family member to take some photos of you when you are by yourself. Keep your photos updated with your agency. If your hair looks completely different, the photo is more than a year old or your look has changed in any other way, you must update your photos. Remember, your look is important because you may have been selected because you are the same demographic as the brand’s consumer or otherwise represent the brand you are promoting. Don’t put yourself or your agency in the position where you may be released from the promo because you don’t look like your photos. Always submit a full length or 3/4 quarter length shot as well as a more tightly cropped shoulders up headshot when you apply for promotions. Clients want to see your figure, complexion and smile. Take a variety of photos both close up and further back. Remember what you are applying for! If it is a beauty client, they want to see how you wear your makeup and how your skin looks. A fitness or health client will want to see your athletic build. Make sure to have a variety of current photos that can fit a wide range of promotional opportunities. Your agency cannot send the client a photo of you in a wedding dress, an Olan Mills family portrait or that one when you are dancing on a table at the club holding a champagne bottle. The same goes for photos in Halloween costumes. We need to see what you look like every day. We want you to look your best but we want you to look like you will look at the promotion! Although camera phones have come along way in the past few years, the pixel count of a hand held digital camera is usually higher than a phone. Also the lens and flash are much better on a camera than a phone. The higher the pixel count and the better the lens and flash all lead to a higher quality photo. Although clients are asking to see natural non professional shots, they do prefer talent with professional photos. We see that the talent who do have a professional headshot, are more likely to be selected by the client. Professional photos just look better. Also when you makes that investment, it shows that you’re serious about your promotional career and are willing to take that extra step to get booked. With the digital photography age, there are many affordable options for a nice professional photo. Keep it simple with natural looking hair and make up and nice catalog style type of clothing (think J. Crew). Professional photos will open the door to additional types of work such as auto show or other tradeshows. Talent often ask me how they can get booked more. My #1 recommendation is to have better photos. You will see your opportunities increase when you have a clear and polished professional looking photo. Use the tips above to take the photos yourself or take a moment to research professional photographers in your area who can be of service. Janice Rodriguez is the President and Agency Director of Adelante Live. Please follow her on Twitter @jvrodrig1029 or on Google+. You can view her full bio here. As a commercial print agent at at Ford Models in Chicago, she selected model’s photos for both their comp cards and portfolios. She’s also an amateur photographer and just knows what is a good (or not good) photo. Increase your chances of being booked for an event by following these 6 quick and simple steps. I hear that question as least once a week. You believe you are the perfect fit for the position. You have the right look, attitude and personality. Your experience is on par – or even surpasses – what is being requested. And you are available! But yet you still didn’t get booked. Let’s explore a few reasons, shall we? 1) Your photos are from 1972. Well, ok, maybe they’re not that old, but nonetheless, you are obviously wearing a style that is outdated. When we see the same photos in your profile for three years, we know it’s time for you to update them. Always make sure that your photos are current. They should show your latest hairstyle, cut, and color, and current shape and size. Often times clients want a conservative look, so if your photos still show the blue-streak phase that you went through two years ago, chances are you won’t get booked. Got those braces off? Great! Now upload a photo showing off your brand new smile. I cannot stress enough how much a good photo lends to your booking strategy! 2) The only experience that you listed is dog sitting for your mom. I sort through dozens of profiles on a daily basis. And among the criteria that I look for is prior promotional experience. If you have no prior experience listed in your profile, you may get passed over and never get booked. Now, this doesn’t mean that someone new to the promotional business won’t get a shot. I’ve given several newbies a chance to prove themselves – and they’ve now become some of my best “go to” people. However, if you don’t put forth the effort to at least list SOMETHING in the experience section of your profile, why should I call you? If your profile isn’t complete, why would I believe that your event reporting will be complete? Put forth the effort! Even if you think that your experience isn’t worth listing…LIST IT. We have several sections for different types of work experience from child care to serving. And if you’re someone who has a ton of varied experience, be sure to list a good well-rounded sampling of your work. Bottom Line: The more experience listed in your profile, regardless of what it is, the better chance you have of receiving a call for an interview and getting booked. 3) You live near Atlanta but keep applying for positions in Albuquerque. We know who you are. You live in Georgia. And you apply for everything. Even for events in states that you’ve never visited. Kudos to you for wanting to explore! I love someone with a traveler’s spirit. However, not when it comes to getting booked for a three-hour promotion. Please be sure to thoroughly check each listing including the locations. If you are someone who continually applies to events in random cities, we will eventually notice that and it will make us think twice about booking you because we are never really sure where you are, Waldo. 4) Your contact information is incorrect. Do I really need to expand on this? Update it. Right. Now. 5) “Fashionably late” has no place in promotions. If you already have a history with us and that history shows multiple late appearances, it will affect your future bookings. And that’s something that everyone should keep in mind when committing to a booking. You are promising us that you will not only show up and do your best, but you will be there on time. Don’t be afraid to ask your agency if your prior experience with them is satisfactory. We are very honest with our talent. If I see a prior issue in a profile, chances are I will ask you about it during our interview. 6) No call, No show, No way! I WILL NEVER BOOK YOU AGAIN IF YOU NO CALL/NO SHOW TO AN EVENT. I do not take no calls/no shows lightly (or personally). However, it serves as a grave injustice to our client. And that is something that I do not tolerate. Mind you, I’m not generalizing cancellations here. Things happen. Family emergencies, traffic accidents, illness…we all have things that come up at the last minute that are out of our control. But should the need arise for you to cancel, please have the professionalism to call your account manager at your agency and notify them of the situation. A no call/no show will likely lead to dismissal from our agency – and none of us want that. We place a tremendous value on you, our talent. Without you, there would be no us. Please show us that same courtesy. Following these six simple guidelines could help you get your foot in the door, set you up for an interview, and finally get booked! So take the time NOW, get out there and land that event you’ve been applying for! Don’t hesitate – head over to www.adelantelive.com and log in to your A-Live Agenda profile now. Update your photos, your prior event history, and your current metro so you will show up in our searches and be emailed the right opportunities. If you’re new to us, please visit https://www.adelantelive.com/register/join-the-team/ to set up your new profile using the tips listed above! 9 Phone Etiquette Tips to Keep You Dialed-in for Success! Proper phone etiquette may seem like common sense, but in today’s digital age, communication skills seem to get lost in translation. Try to keep these phone etiquette tips in mind when talking with your agency’s account managers. 1) The best time to call. Try your best to call your account manager during normal business hours (8am-6pm, M-F). Some agencies (like us!) allow for office phones to be transferred to cell phones after business hours for any on-site emergencies during an activation. But do try your best to reach your agency during business hours. 2) Identify yourself. Be sure to give your full name and reason for calling. If leaving a message, follow the same proper phone etiquette and include your call back number and best time to reach you. 3) Remain professional. Avoid informal speech and explicit language. If a relationship between you and your manager has already been established, you may inquire about other non-sensitive personal matters. Let your personality shine…but make sure you are doing so appropriately. 4) Reduce the noise level. This phone etiquette tip should apply to any call. You may be able to hear someone but that doesn’t necessarily mean that they can hear you. Remember: Background sounds can drown out your voice. Move to a quieter area if talking on the phone. Roll the windows up if in a car. If you absolutely must make or receive a call in a noisy environment, cup your hand over the mouthpiece of the phone as best as you can. Not only will the person on the phone appreciate it, but those around you will thank you, too! 5) Speak clearly and directly into the mouthpiece – and don’t use a speakerphone. If there is a need for you to be “hands-free”, then proper phone etiquette says you shouldn’t be on the phone. Wait until you can physically pick up the phone to have a conversation. Remember to speak clearly and slowly, especially when leaving a message. And don’t eat or chew gum while talking! 6) Smile! And set the tone. Did you know that you can actually “hear” a smile? If the account manager senses boredom or shyness in your voice, they may think you don’t have the right personality for the gig. Make sure your tone is positive, yet not pushy or overly anxious. 7) Take notes. Have a pen and paper handy. If you are speaking to a new manager – one you haven’t worked with before – make sure you write down their name…then use it during the call. You’ll also want to take specific notes regarding what is expected of you for the event. 9) End on a high note! Thank the account manager for taking the time to speak with you. If you are booked, thank them for the booking and reassure them that you will do your best! You’ll be surprised just how far proper phone etiquette can take you. It shows professionalism, positivity, and will give you that edge that you need over other talent! Lisa Marino is an account manager with Adelante Live Inc. To learn more about Lisa, please read her full bio here. When she’s not hustling for ALI, she can be found doing a mean cover of “Dreams” at a local karaoke night.